When travelling with my son one of the advantages is that he will ask so many questions to the tour guides and taxi drivers that you end up learning a lot of stuff you wouldn’t usually. I find that most people love to talk about the country they’re from and share old stories and historical facts. Some are funny, some are plain weird… but most are clever, and we end up leaving feeling so much more in touch with the places we visit. If you haven’t read my Whale Watching post read that here, or my post about the day we explored the South Coast of Iceland is right here too. Car Hire or Tour Guide? Hiring a car is usually my preference when we go away. You can just chuck everything you need in the boot, have your music blaring and get totally lost in your surroundings. But when we recently went to Iceland I chose to do a South Coast tour with a guide. Why? Well aside from two tickets being far cheaper than paying for petrol I was worried about getting too tired to drive back and cover all the sights we wanted to see. The first guide we had wasn’t just super friendly, he was intelligent and knew everything and anything you could think of asking, and Coby will ask the most random questions. Why is there no army in Iceland? Where’s all the police? How many people are in the prison? What did they do wrong? See, totally random. But, here’s the clever part. These questions lead to answers that probe more questions and everyone joins in! It’s so much fun. I absolutely hate this photo… bright orange helmets never do anyone any favours, but this was our guide at the front, and we were all so happy, so I’m sharing. Rather than share all the facts you can learn quite easily online I started to note down on my phone all the random weirder stuff we heard, and a new blog post idea begun to form. Remember though, these aren’t verified and is just a little bit of fun. I very rarely swear but can quite often be heard saying “What the heck” or Flipping heck’. I’m from York and the latter is quite a common phrase so when our lovely taxi driver Jon overheard me saying it, he asked if I knew where it originally came from. He told me that during the Middle Ages one of Iceland’s most active volcanoes, Hekla, was named by Icelandic people as the “Gateway to Hell” and it became quite common to say “What the hell” but people felt it was a bit too insulting and turned it to “What the heck”. You may have heard about some of the traditional Icelandic foods, one being fermented shark (known as hakarl), but did you know that if you can chew it fully then down a quick shot of vodka without bringing the foul stinking delicacy back up again it proves you’re a real Viking? Nope, me either. Even if I wasn’t a vegetarian there’s no way I’d be trying this though. There are no forests in Iceland, only 1.4% of Iceland has trees… but there are deserts! Iceland was the first to have democratically elected female and openly gay Prime Ministers. You won’t find a single MacDonald’s anywhere in Iceland – hoorah! In Iceland owning a snake or turtle is against the law. The Icelandic police don’t carry guns nor truncheons. Crime in Iceland is very low and violent crime is non-existent. There’s currently, at the time of writing this, 72 inmates in the one prison they have and over half are foreign and serving time for drug related crimes. We saw one police car at the airport the 4 days we were there…. but you can contact them on Facebook! Iceland is home to 32 volcanic systems encompassing around 130 volcanic mountains with 39 eruptions in the twentieth century alone. Even though volcanic eruptions have had terrible consequences through the ages, Icelanders love their volcanoes. They name their daughters after them, like Hekla and Katla. They respect them. Icelandic people keep making up new words! With fewer speaking Icelandic you can understand why they are trying to preserve the language. When new English words become popular Icelandic people try to find a new word that has an Icelandic meaning. The latest one would be “sjálfa” – the Icelandic word for selfie! Being a fisherman is one of the most difficult jobs you can have in Iceland. It’s also one of the highest paid. Earthquakes are happening all the time, as we climbed a waterfall there was one happening beneath us at the very same time! The Blue Lagoon isn’t a natural geothermal lagoon! It’s man-made. The water stinks of rotten eggs! You get used to it after a while and it’s all down to the high levels of sulphur. The cold water from the taps is excellent to drink and supposed to be really good for you. 12% of Iceland is covered in Glaciers which are protected by volcanic ash which acts like a sunscreen. One bar in New York ships its own giant blocks of Icelandic glacier ice over and charges $50 a drink just for the pleasure! It melts very slowly due to having less oxygen than standard ice. All households pay £50 a month for unlimited power and hot water is never-ending due to being heated geothermally. Beer was banned from Iceland for a long period of time when and it was only allowed to be made for export. Finally, in 1989 it was allowed again, and March 1st is officially Beer Day. Iceland had been growing for 17 million years and grows about 10 centimetres every year. The Icelandic flag is blue with a white cross and a red cross inside of that. The blue is for the sky and mountains. The white is for the glaciers and the red is for the volcanoes. Ahh I love this post, it’s so unique compared to a lot of the Iceland content out there! 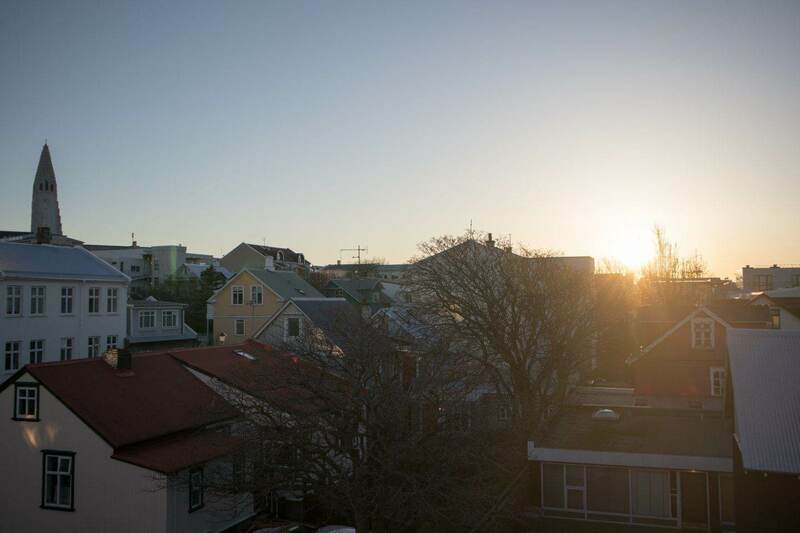 Looks like you had a wicked time in Iceland, I’m so jealous. It’s definitely on my to-go list but my list is pretty long :/ One day! Ooh I love this post! It’s so interesting hearing facts about somewhere else (that are totally different to the usual facts you hear), even if some of them might not be 100% true haha. I knew there were no McDonalds, but I had no idea that beer wasn’t allowed until 1989. And that it grows so much each year!